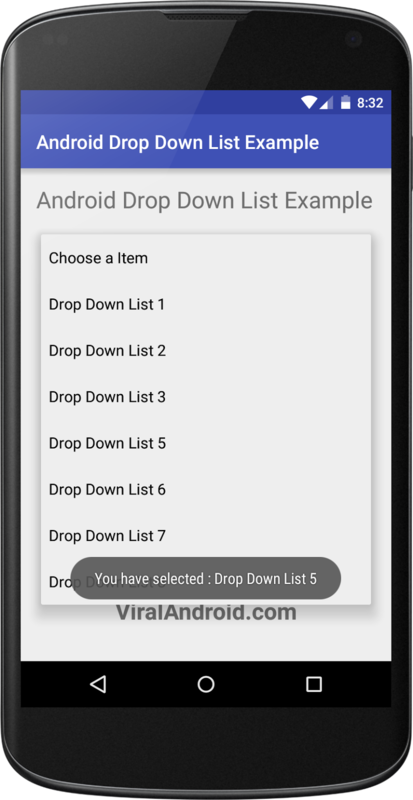 In this tutorial, you will learn to implement drop down list in android application and control when the user selects one of the item from a set. To make drop down, I have used Spinner. You can add drop down items either from java code or xml string array. Following is the xml layout file which contains two . Following is the java activity file which control drop down list item is selected. Now, run your application which will look like output given below.